Singapore has been on the receiving end of some honest but valuable feedback from Apple co-founder Steve Wozniak who claimed that a company like Apple could not emerge from the country, according to the Wall Street Journal. Woz, as he is know, claimed that Singapore carefully managed society, where “bad behavior is not tolerated” and “people are not taught to think for themselves”, puts Singapore at a distinct disadvantage when it comes to encouraging and nurturing creative talent. Look at structured societies like Singapore where bad behavior is not tolerated [and] you are extremely punished. Where are the creative people? Where are the great artists? Where are the great musicians? Where are the great writers? The US has historically held a dominant position in bringing new technology and innovation to market thanks to many factors that include availability of funding, greater culture of startups, size of population and more. For a country whose population is lower than New York, building a firm like Apple is a big, big ask. 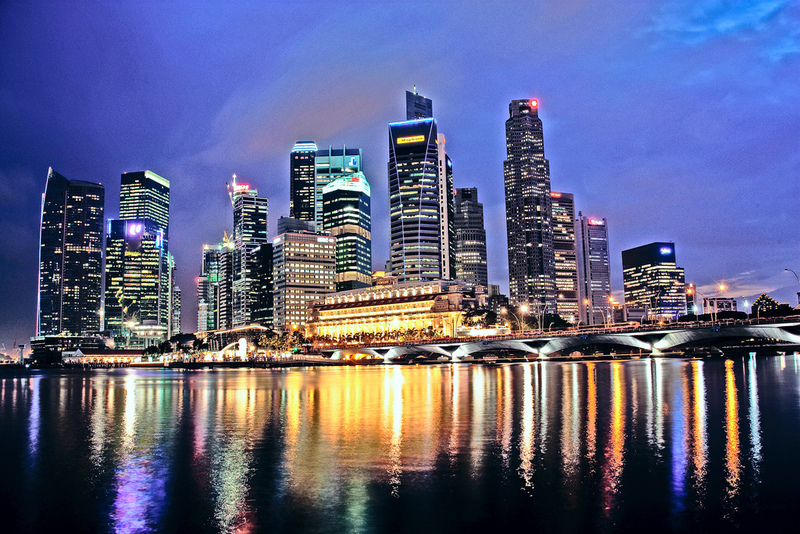 A great many of the world’s top technology firms have regional office bases in Singapore. Google, Facebook, LinkedIn, PayPal, Microsoft and others have strong native and expat workforces in the country, so it is clear that Singapore has talent in the country, but what about emerging ideas and people? I’ve spent most of this week in Singapore where I’ve been impressed by the use of everyday technology (you can easily hail a cab by SMS or an app, and pay cashless, for example) and a number of companies — large and small, established and starting out — that I met during my time in the country. There is no doubt that some parts of Asian culture can make risk taking, the first step of any new company, difficult, and that applies to more countries than just Singapore. However there are people doing innovative things across Asia but the scale of Singapore — its finances, population, etc — makes any direct comparison with the US, UK or other markets unfair. In reality, the issue of innovation and companies in Asia is a hugely complicated one with a great many factors, including availability of funding, captive audience, culture and other issues, so to pick just one out as key is difficult. The Next Web‘s recent interview with startup incubator JFDI threw some interesting light on the issue of growing business in Asia. As JFDI CEO Hugh Mason told us, there is plenty of talent in Singapore and the region at large, but a lot of the time encouragement and guidance is needed to help bring innovation, products and ideas forward. Wozniak is working with the Singapore government to provide such guidance as the authorities look to encourage greater innovation and tech industry involvement in Singapore. While he may be able to help shape policy, it remains to be seen how other issues — such as culture — might be, or even need to be, addressed to help creativity in Singapore blossom. What do you think? Do Singapore’s rules and regulations restrict the creative freedom of its population, or is the reason behind lack of Asian startups and innovators, more complicated? Let us know your thoughts in the comments section below.